A man walks in to an art gallery and concentrates on one particular painting. The museum curator notices this, and he asks why he is so interested in the painting. The man replies, " Brothers and sisters I have none, but that man's father is my father's son." Who is the man in the painting? 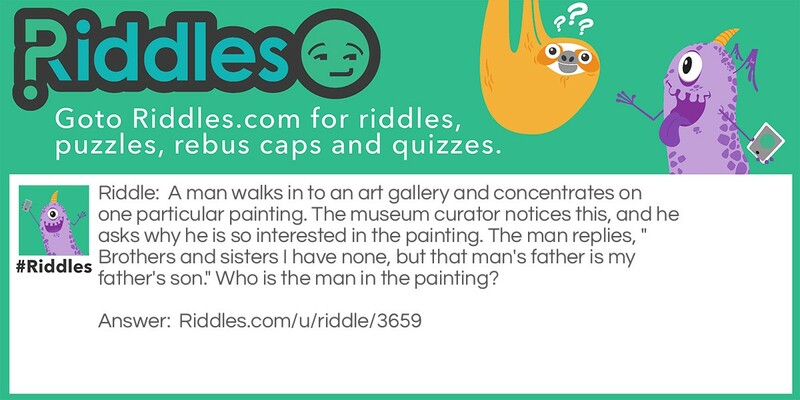 Strange Paintings Riddle Meme with riddle and answer page link.